Welcome back! This is a picture of Reese who’s SUPPOSED to be at work. But when I went into manage worlds and came back, so did he. And now I can’t send him back either. …He was only at work for an hour… ugh. 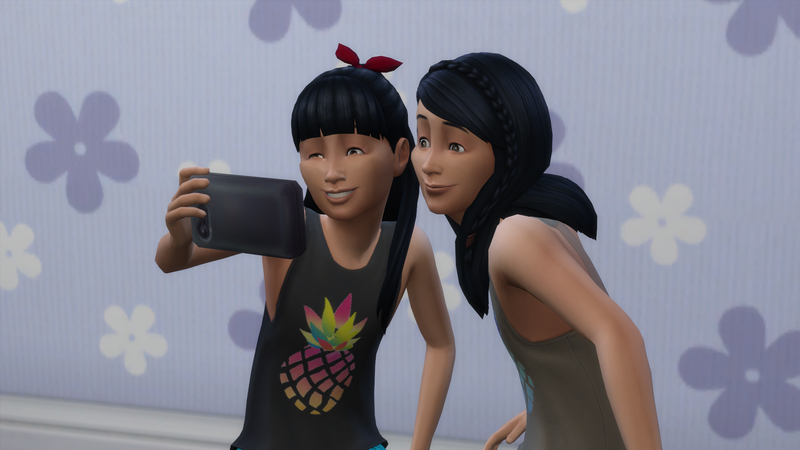 Goodness, they are just so cute!!! I say that, but I’m ready for another boy heir. Chloe will be the 4th girl in a row. Our house must be glitched or something. 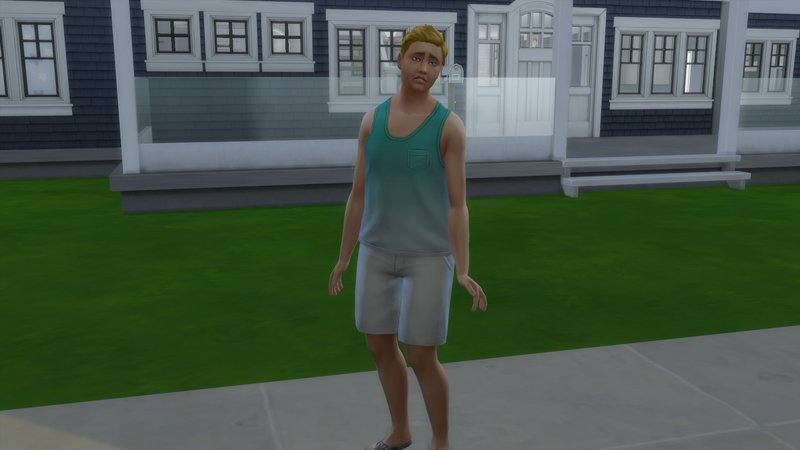 Last chapter sims were walking through it and this time, this guy came inside the house to knock on the door. Idiots. We bought a couple of computers and set them up in the studio upstairs. They brought the house value to $105,166. So we completed another goal! Started gathering all the photos for our photo treasure hunt. Funny story though, in-game that skirt looked brown. But it looked black when I wrote this. And I had another photo with Chloe for black hair. So I quick popped back into the game got a pic of brown hair. So we’re good to go! 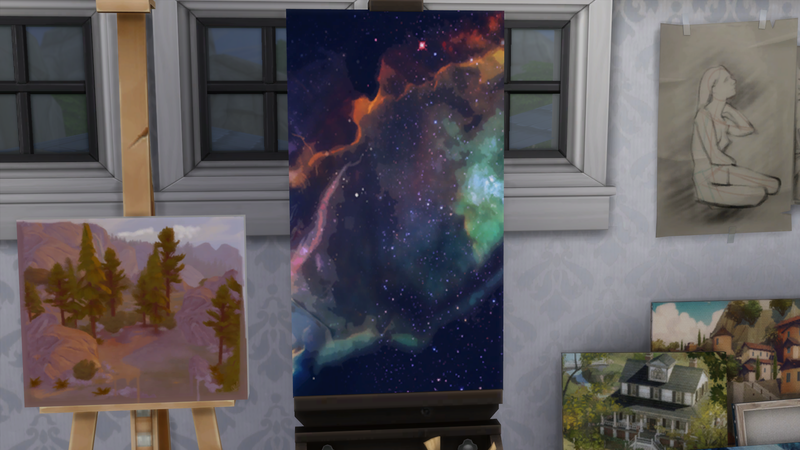 So this isn’t a master piece (And I don’t even remember who painted it) But it’s space and it’s beautiful so I’m keeping it anyway! 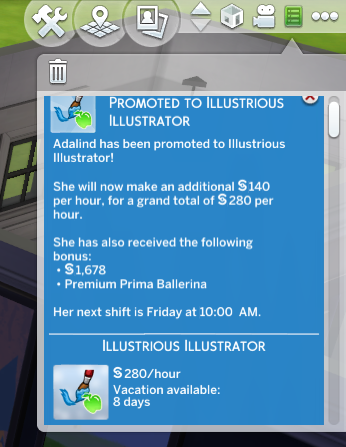 Adalind got a promotion! Yay!!! 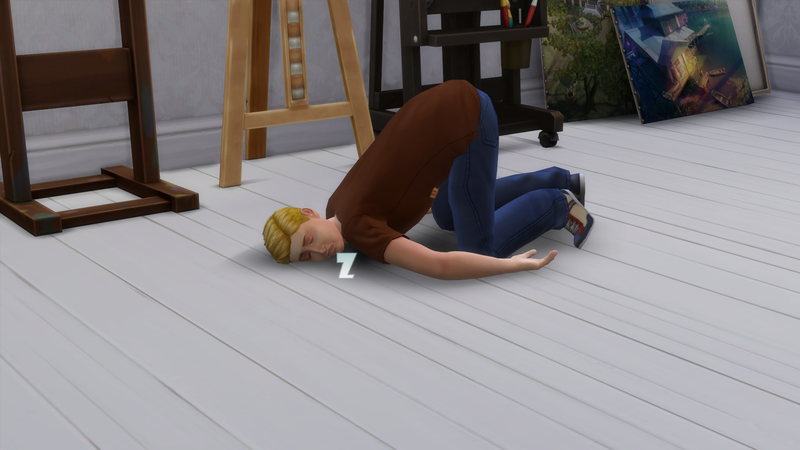 Reese is so determined that Adalind doesn’t catch up in their competition, that he’s on the struggle bus. And here they are! Proof! I thought it was going to be harder to finish the treasure hunt. Thank goodness it wasn’t. 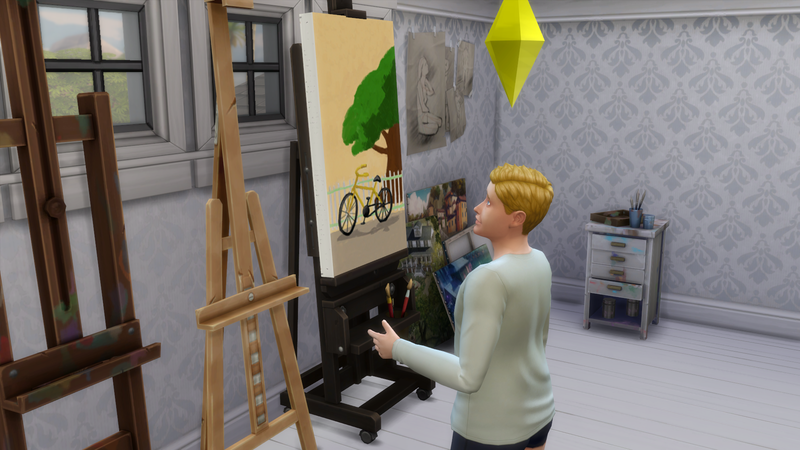 It did still take me a couple sim days to finish. I people watched the whole time which is why this chapter is a little shorter than usual. And that’s it for this chapter! Join us next time for more… fun? 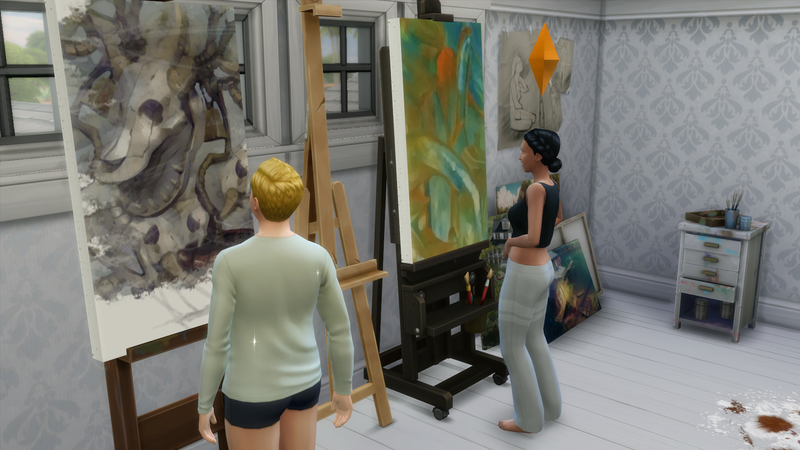 Definitely more painting, that’s for sure. Hi do you have sims 4 pets? Just wondering 🙂 and if you do are you planning to get pets? Also you know you get notifications when family has got married or has had kids. Is it from a certain pack?